The Maldivian currency is the Rufiyaa and Laaree. The exchange rate for US Dollar at the time of writing (2006) is MRf 12.75 for the dollar. One Rufiyaa is equivalent to 100 laarees. Rufiyaa bank notes come in denominations of 5, 10, 20, 50, 100 and 500. Coins are in the denominations of MRf.2.00, MRf.1.00, 50 laarees, 20, 10, 5, 2 and 1 laaree. 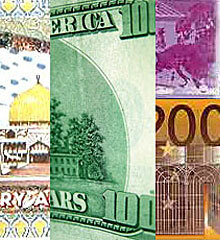 The US Dollar is the most commonly used foreign currency. Payments in the resorts and hotels can be made in most hard currency in cash, travellers’ cheques or credit cards. Commonly used credit cards are American Express, Visa, Master Card, Diners Club, JCB and Euro Card. The Bank of Maldives is the national bank of the country and has different branches in the capital Malé. 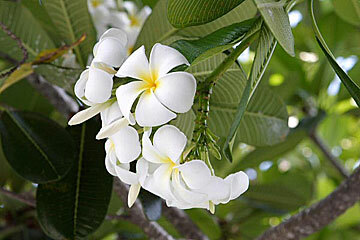 It also has branches in some of the major populations centres such as Addu Atoll, Haa Dhaalu Atoll, Lahviyani Atoll etc. A branch of bank of Maldives is in Male International Airport. Other banks in the capital Malé include HSBC, State Bank of India, Habbib Bank and Bank of Cylon. Most of the banks represented in the capital Malé provide Automatic Teller Machine (ATM) services. You can find several ATM points conveniently located in key points of Malé.